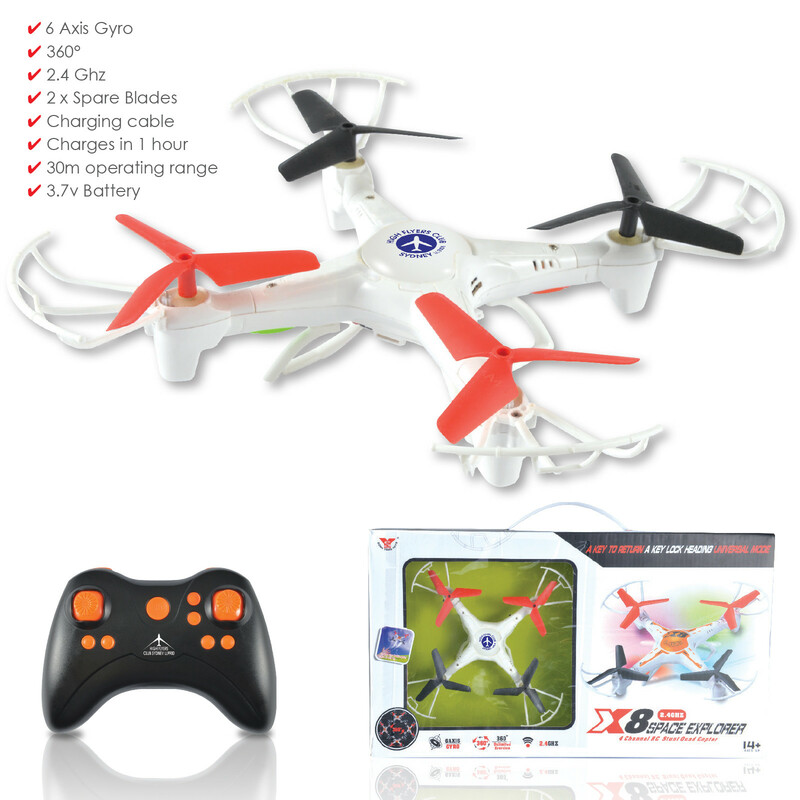 Ready to fly 2.4G RC Quad Copter Drone with hand controller to suit flyers of all skill levels. Suitable for indoor and outdoor use. Built in 3D gyro sensor. Easy to control - 360 degree 3D tumbling stunt function, ascend, descend, forward, backward, turn left/right, fly to the left or right, hover and LED lighting control. Features flexible buffers to protect the blades whilst flying and during collision. Suitable for ages 14+.